There are thousands of WordPress themse available on the Internet - most of them free. But if you want something a little different to all the other blogs out there? Creating a complete new theme is well beyond the skills of most people - even with the best tools available. But simply changing the colors of an existing theme can make it look completely different. That's where WP Sorceress comes in. It is a simple tool that allows you to change the colors of the elements of a theme. To change a color, you just select the element name from a drop-down list. In the screenshot above, I have selected "h1" (the main header text color). If you don't understand the names of individual elements, you can just scroll through all the elements using the scroll arrows next to the drop-down list - and the color swatch will change color to show you the color of that element. So you can, for example, find all the green elements. The tool shows the existing color of each element and you can then use a standard Windows Color Picker to choose a new color. You can change as many elements as you wish, then just click the Save button to save the result. The tool will update the style.css file for the theme (which defines all the colors). Now just upload the new version to your WordPress installation and your blog will instantly switch to using the new colors. It really is that simple. Most WordPress themes have a "screenshot", which is shown in the blog admin Themessection, to help the administrator identify all the different themes that have been uploaded to the blog. Once you change the colors, the original theme screenshot will no longer match the theme. If you are only using the theme for your own blogs, this does not matter. The screenshot is only ever seen by the blog administrator, when selecting which theme to use. However if you plan to distribute the theme, you may prefer to include an updated screenshot. 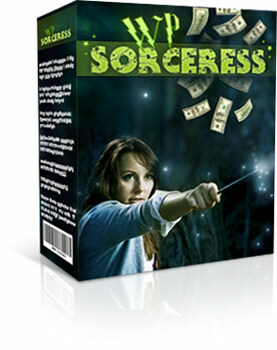 WP Sorceress comes with a simple Screenshot Tool that allows you to very easily create a new screenshot for your new theme, just by clicking a few buttons. Get lifetime Access Now for $5.99 for a limited time only.. Requirements: This software is for use only on PCs running Microsoft Windows. The software works by modifying the style.css file that is a standard part of most WordPress themes - but it is possible that it may not work on every theme.